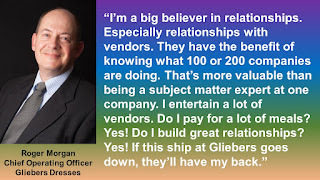 Some of your vendor partners are telling you that your reactivation pool is a "Pot of Gold" ... just overlay some social data and demographic data and lifestyle data and whatever other data is being sold and if you use modeling strategies properly you'll be able to "reap the rewards" in their pot of gold. 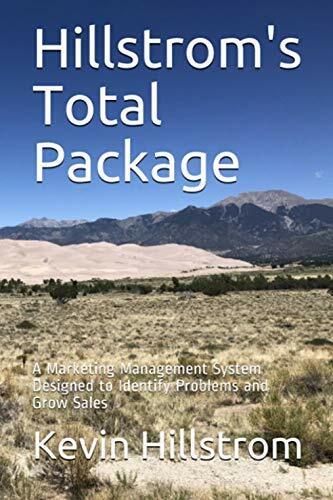 "You can use our products and services to find your pot of gold within your reactivation audience." 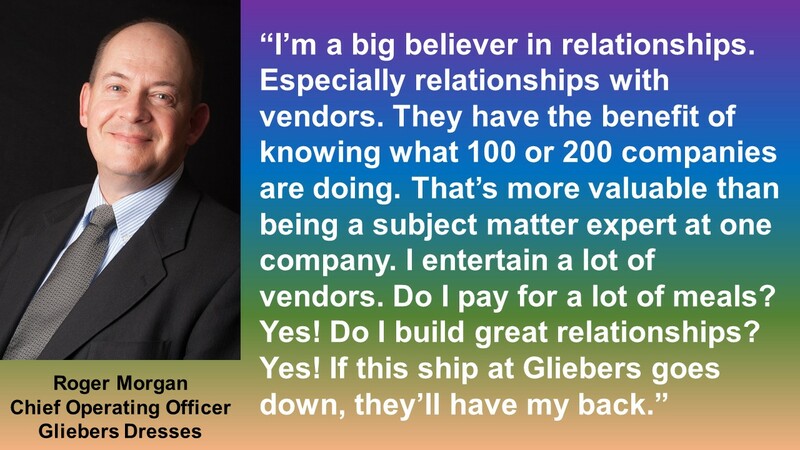 At Gliebers Dresses, customer reactivation is important. But it isn't a panacea. 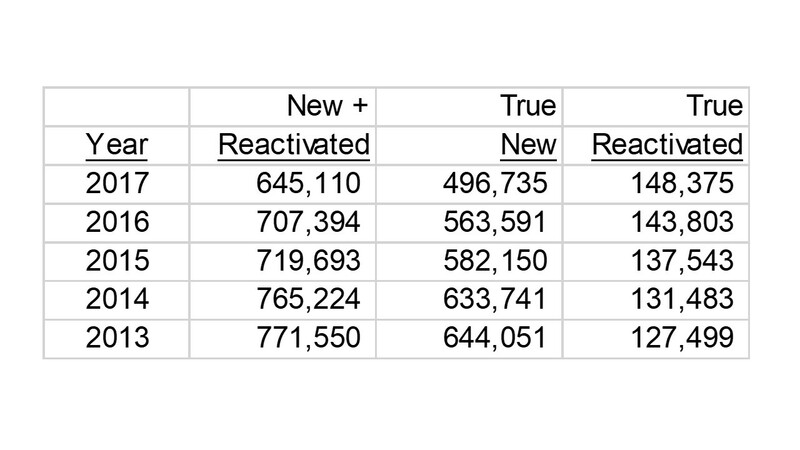 Here are New + Reactivated customer counts for the past five years. There's something there with reactivation, don't you think? Strategically, Roger is working hard to step all over Pepper's job description ... and what the vendor community is selling him is "working" ... as reactivated counts are increasing by 2% or 3% per year. That's better than a kick in the head. But it doesn't offset the structural issue that Gliebers Dresses is dealing with. Traditional Customer Acquisition is dying. Did you hear that Facebook had fewer monthly active users in the US/Canada compared to last month for the first time in their history? That is a channel that is now dying. Google as we know it is slowly dying. Both will be around for the next decade. But times change, and those channels are changing as well. Catalog co-ops have been dying for a half-decade or more ... click here - I talked about the issue seven years ago. 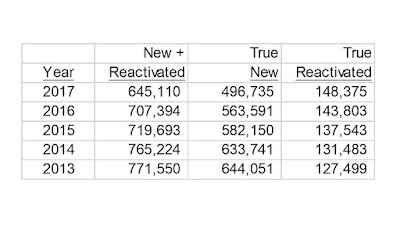 In the image above in 2017, reactivated counts increased by 4,500 while new customer counts decreased by 67,000. I've witnessed many cases where reactivated counts are outrunning new customer acquisition failures. Those companies got out in front of the challenge and have (in the short-term) solved a structural problem. Have you wondered why pure e-commerce brands would sell out to Wal-Mart? I've analyzed a lot of pure e-commerce brand data ... they have a Google + Facebook problem. Can reactivated buyers truly be a pot of gold? Maybe. Will they offset a structural problem that is coming at us at 300mph? No. Which is why having a strong customer acquisition program that excludes catalog co-ops, Google, and Facebook is so critically important. If all of those dinners had translated into 20% increases in reactivated buyer counts, Roger Morgan would be hailed as a visionary. Join us on April 5 as we work through all of these challenging topics (click here to register).